Tree was one of the major theatrical figures of the late Victorian and Edwardian period, whose lavish productions with their strong emphasis on the visual can be seen as prefiguring the cinema. Tree himself was one of the first major actors to be filmed and was remarkable and commendably positive about the cinema when many of his peers sneered at the phenomenon. King John, four one-minute scenes from Tree's Her Majesty's Theatre production, was filmed by W.K-L. Dickson and Walter Pfeffer Dando for the British Mutoscope and Biograph Company in September 1899. One scene survives of this, the first film of a Shakespeare play, with as the king enacting his death scene. 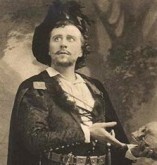 In 1904 the storm scene from Tree's production of The Tempest was filmed for Charles Urban, and in 1911 his production of Henry VIII was filmed at great expense by Will Barker. Tree went to America in 1916 where he wrote enthusiastically about the creativity he found in Hollywood and his Macbeth was filmed as a feature, with D.W. Griffith producing. 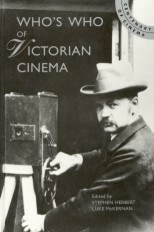 His championing of the cinema in its earliest years contrasted markedly with that of his younger half-brother Max Beerbohm (1872-1956) the humorist and theatre critic, who made several disparaging attacks on moving pictures in the 1890s.